Take the fast lane to feeling confident each day. 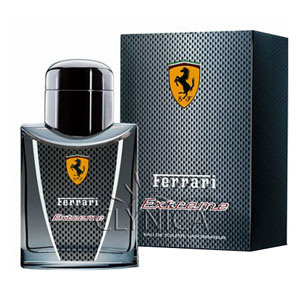 Ferrari Extreme offers a dynamic fragrance that’s high performing, long lasting and really makes an impact. It is an aromatic fragrance for men created by Alberto Morillas. Your man in India will surely love this gift of yours. Bergamot- The bergamot is a small and roughly pear-shaped citrus fruit originating and grown mainly in Calabria, Italy. Bergamot grow on small evergreen trees known as bergamots, which are produced from a cross of the pear lemon and the Seville orange or grapefruit. Bergamot peel is used in perfumery for its ability to combine with an array of scents to form a bouquet of aromas which complement each other. Approximately one third of all men''s and about half of women’s perfumes contain bergamot essential oil. Bergamot was a component of the original Eau de Cologne developed in 17th century Germany - in 1704 the bergamot was first used to make the now famous "Eau de toilette" from the bergamot fruit by scooping out the pulp and squeezing the peel into sponges. Cedar (Cedrus) is a genus of coniferous trees in the plant family Pinaceae. Cedars are trees up to 30–40 m (occasionally 60 m) tall with spicy-resinous scented wood, thick ridged or square-cracked bark, and broad, level branches. This Scented Wood is mainly used for scenting purposes. Geranium- Geranium is a genus of 422 species of flowering annual, biennial, and perennial plants that are commonly known as the cranesbills. It is found throughout the temperate regions of the world and the mountains of the tropics, but mostly in the eastern part of the Mediterranean. These attractive flowers will grow in any soil as long as it is not waterlogged. Musk- Musk is the name originally given to a substance with a penetrating odor obtained from a gland of the male musk deer. Its scent is not only more penetrating but more persistent than that of any other known substance. The substance has been used as a popular perfume fixative since ancient times and is one of the most expensive animal products in the world. Make the occasion of your loved one even more special. Send them other exclusive Online Gifts to India through us, safely and securely.